Goodbye gloom, hello bloom. 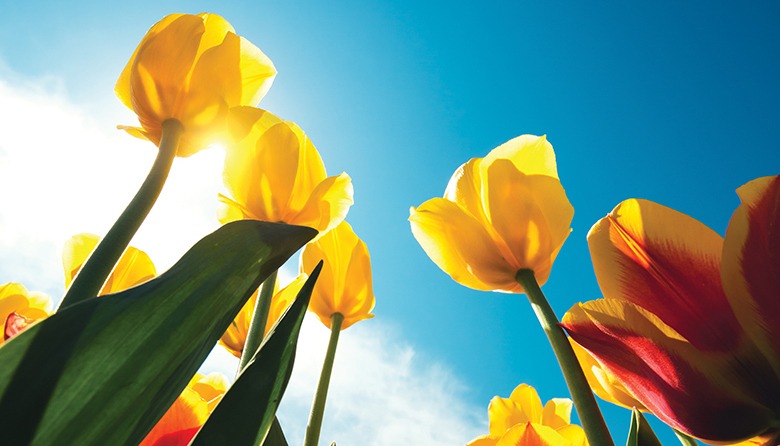 Our annual influx of springtime daylight is coming (spring forward on March 10! ), and with it a vibrant interruption in our dreary winter weather. Whether it’s daffodils or tulips that do it for you, Seattle is a fantastic home base for beholding the floral blossoms. Within Seattle, by mid-March the University of Washington Quad is awash in crowds that come to view the cherry blossoms (check the blooming stage of the trees). Farther afield, daffodils get their due during the fifth annual La Conner Daffodil Festival, with events throughout March and more than 450 acres of blooms. It’s followed by the Skagit Valley Tulip Festival (4/1–4/30), and finally by Wenatchee’s Washington State Apple Blossom Festival (4/25–5/5). Check websites for specific events.